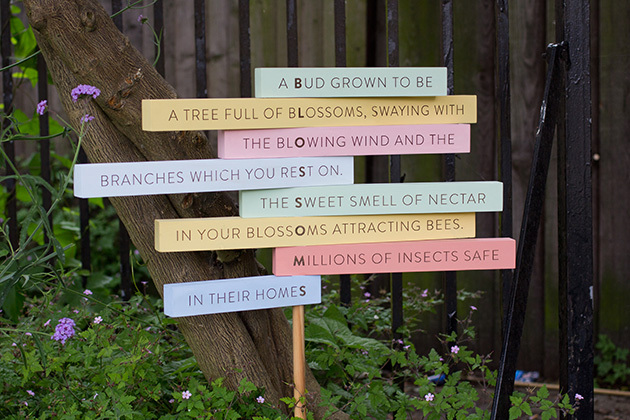 Our memories of poetry at school mainly consist of being forced to sit and read aloud various impenetrable and ancient poems in a hot and stuffy classroom while glancing out of the window and thinking “I’d so much prefer to be out there right now”. 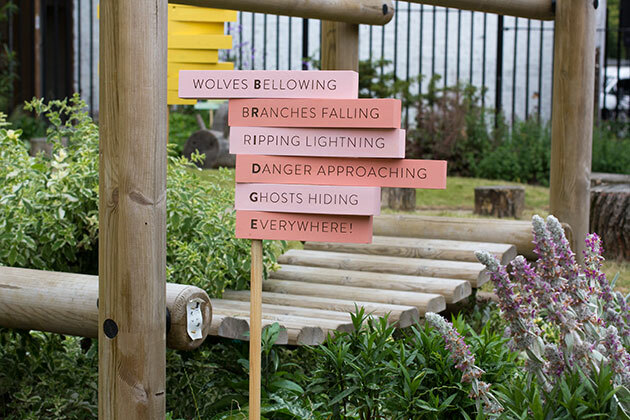 So it’s a massive pleasure to have worked on the latest Ministry of Stories project, where poetry is written rather than just read, and where it’s done outside rather than in. 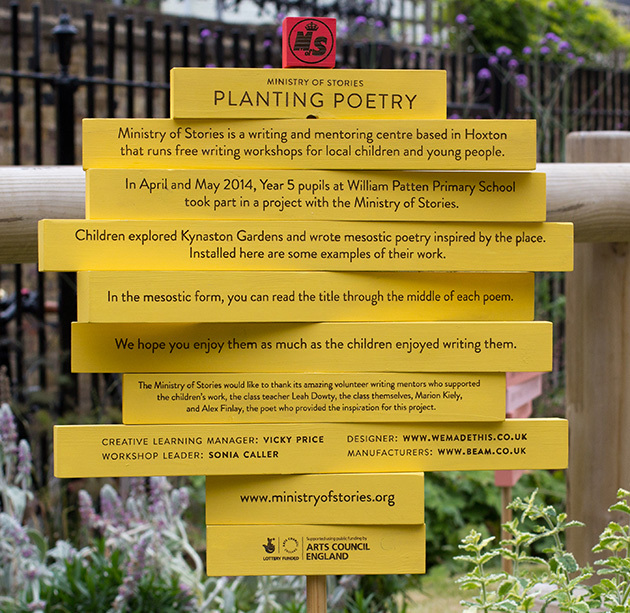 Planting Poetry is a project the Ministry runs with primary school children. It runs over the course of five sessions, with the support of a facilitator and Ministry writing mentors. 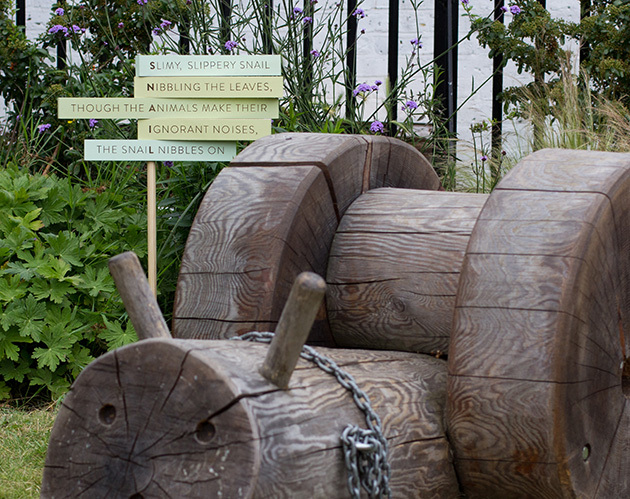 For this year’s project, thirty Year 5 children (aged 9-10) at William Patten Primary School in Stoke Newington explored a garden attached to their school, responding to the various edible and decorative plants they grow there. 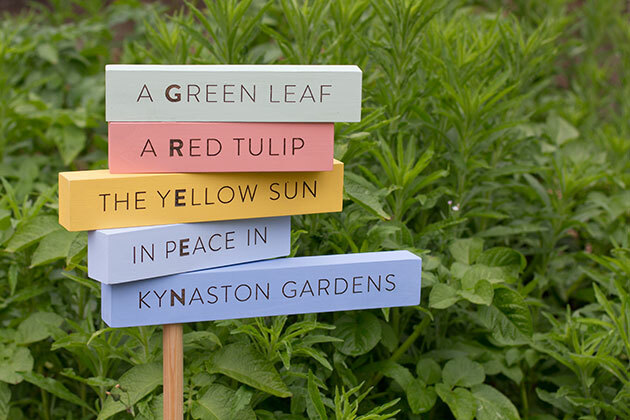 They then created ten poems inspired by the garden, written in the Mesostic form – where a vertical word is formed from within the horizontal lines of the poem. 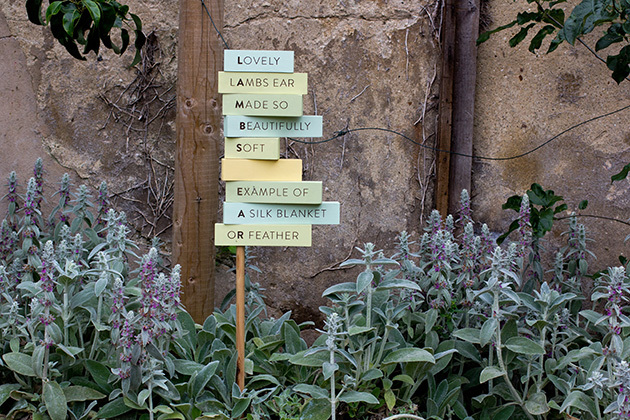 We then took their poems, and turned them into 3D signs which could be ‘planted’ in the garden. 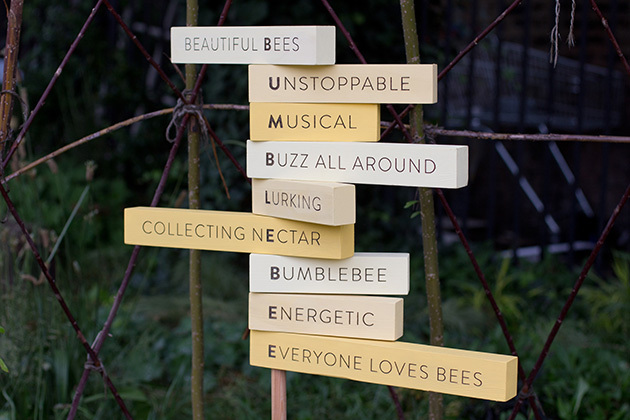 (Our designs are entirely based on the wonderful ones created for the project last year by Burgess Studio.) 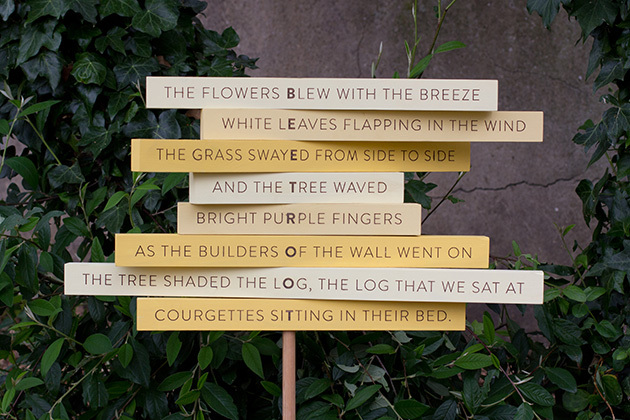 Each line of each poem is laser cut into pre-painted lengths of wood, which are then drilled and mounted onto a rod, before being installed around the garden. 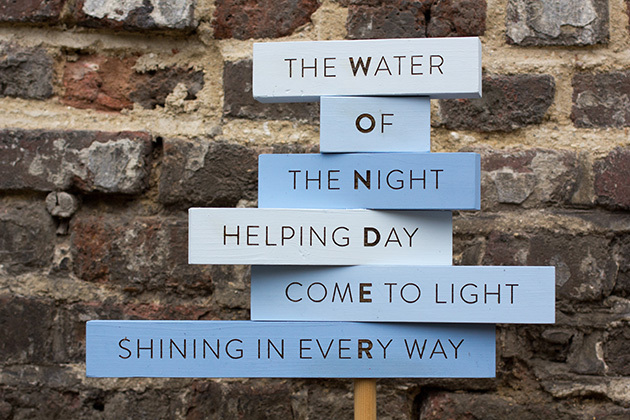 The fantastic folks at Beam Laser Cutting did an incredible job, doing all the production, and the poems looked really wonderful. 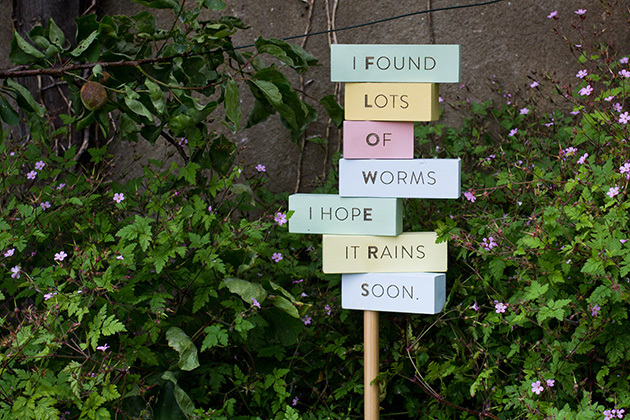 Brilliant poems, and the children from the school seemed genuinely thrilled at seeing their work made real.